We offer a variety of housing plans to meet your specific needs. Rest easy knowing that we provide care staff and 24 hour security. Schedule a time to visit our facilities and meet our friendly staff. 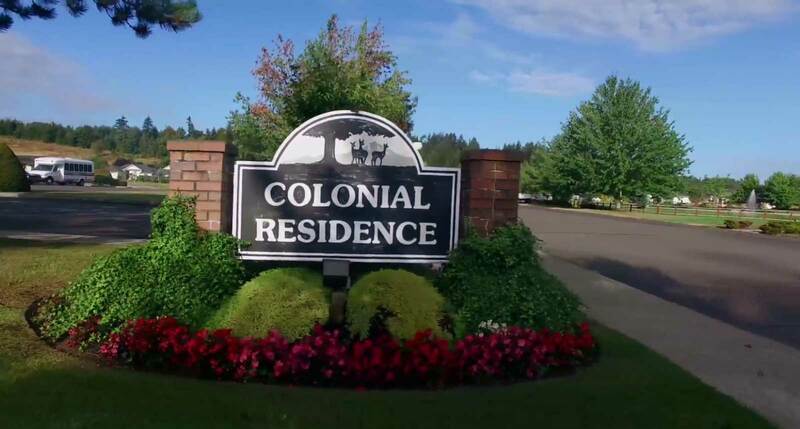 Simply put, life at Colonial Residence is life well lived in a safe and secure environment. Create a beautiful home in your own apartment where independence and dignity are preserved. From the smiling, caring staff who always know your name to friendly neighbors who have lived through the same history, you’ll feel right at home. Enjoy the beautiful surroundings of Colonial Residence, located on the Stillwaters complex, and never have to worry about cooking, cleaning, or household chores again. Fully staffed with compassionate care staff, Stillwaters is an assisted and independent living facility that offers convenience, beauty, and privacy. Choose from a variety of floor plans that allow you all the comforts and privacy of home while also conveniently located close to people who can take care of your every need—as you see fit. Let your mind cultivate knowledge and wisdom as you pursue your hobbies and interests. Don’t worry about what dinner to make or what room to clean; let the staff at Stillwaters Colonial Residence do it for you. Ruminate in the beautiful surroundings or enjoy local entertainment and dining in the cozy town of Centralia, WA where Stillwaters is located. Come spend the best years of your life in a place worth living—Stillwaters Colonial Residence. Choose this as your senior living community in Centralia, WA. Call today at 360-736-1551. Stillwaters Colonial Residence complies with Federal Fair Housing Laws prohibiting discrimination on the basis of race, color, religion, national origin, gender, familial status, and disability in the admission or access to, or treatment or employment in its housing programs and activities. Stillwaters Colonial Residence is also Fair Housing compliant regarding State, County and City definitions of protected classes. The Fair Housing / 504 Coordinator has been designated to coordinate compliance with the nondiscrimination requirements contained in the Department of Housing and Urban Development’s regulations implementing Section 504 (24 CFR, part 8 dated June 2, 1988).